At the of June , MD of SmithsonHill Emma Fletcher was waiting for a bus and got chatting to a lady who volunteers are Arthur Rank Hospice. Inspired by the conversation, Emma offered to help wherever she could. 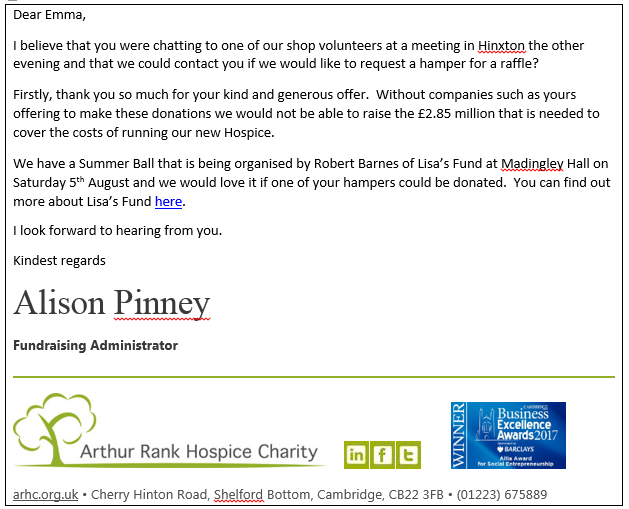 One week later Alison Pinney, fundraiser administrator at Arthur Rank Hospice follows up with a request. So the wheels were set in motion, but where to get an original hamper from? SmithsonHill’s Communications company, Cofinitive recalled a story from the end of 2015 by the Cambridge Food Tour where local schoolgirl Amelise Burr had set up a business providing a hamper service using only locally sourced products. 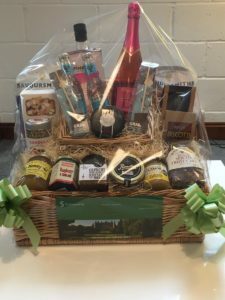 With the local community ingrained in the SmithsonHill approach, Cambridge Artisan were commissioned to provide the hamper on behalf of SmithsonHill. The hamper contains lots of local products from Pinkster Gin to Scarlett and Mustard, but SmithsonHill made one addition – SAVOURSMITHS, an eccentrically flavoured brand of crisps that was recently launched by local husband and wife duo Mike and Colette Russell Smith. The SAVOURSMITHS team are huge believers in the humble potato: the family, Russell Smith Farms, has been farming in Duxford since 1938 and champion sustainable agriculture to ensure culinary excellence. These crisps are now also stocked at Cambridge Organic Food Company / Cambridge Food Hub which also has obvious links to the local community, and indeed to SmithsonHill. So from a chance conversation, the end result supports numerous local producers and entrepreneurs, and contributes to such an amazing charity – that’s the way to do it! 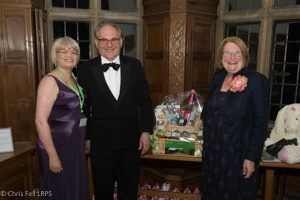 > I received the Artisan Hamper commissioned by your company, at the Madingley Hall Ball, last Saturday. I was thrilled with it, as most of the items were locally sourced, in a beautiful presentation hamper. It even included pink champagne and truffle crisps which I am keeping for my birthday. It was a real pleasure and I thought I would tell you how delighted I was with my raffle prize. 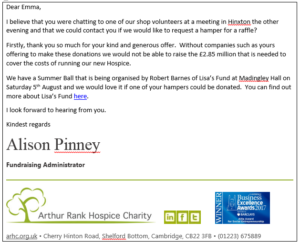 I volunteer at Arthur Rank Hospice and it is a charity dear to my heart, so thank you for your support and splendid prize.